The bullet feeder designed to directly fit the Pro 1000 and Load-Master. Automatically feeds bullets into the mouth of the seating die. Align bullets more accurately than possible by hand. Increases the cyclic rate. 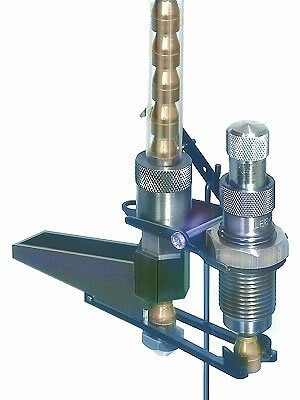 The bullet feed kit is complete for one bullet diameter and range of length. To convert to another caliber or bullet length select appropriate feed die and finger.